It’s a dream come true for solar energy companies. 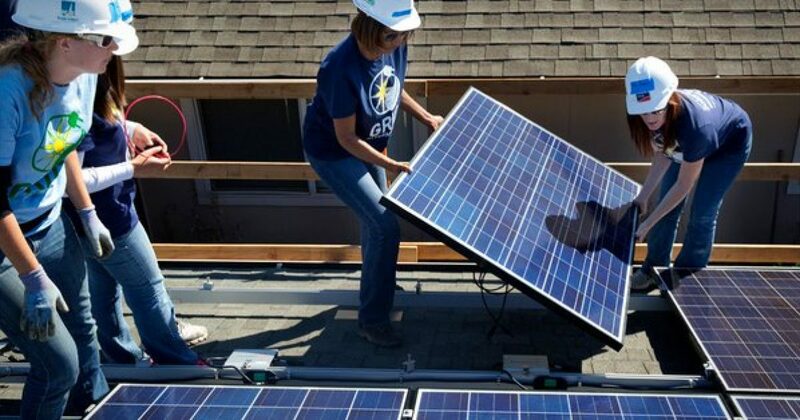 California issued a mandate requiring solar energy for new homes. As noted above, the mandate will raise the cost of new homes around $10,000. The high cost of housing is already a huge problem in California and adding costs to new homes will only exacerbate the issue. In California, the middle class really is disappearing, not into the proletariat or the ranks of the rich, but into sensibly run states such as Texas, Arizona, Idaho, and Nevada. Not only is the Golden State suffering negative domestic net migration overall, but every income group below $110,000 per year is leaving. The state’s middle-income earners are selling their homes and heading for cheaper and often safer and cleaner places. The fleeing middle class is being replaced on the one hand by new border-crossers, usually at the bottom of the income scale, and by a trickle of rich people from other states. The solar energy mandate is another sign of extreme progressive policies in California where the consequences of feel-good state-mandated requirements are ignored.